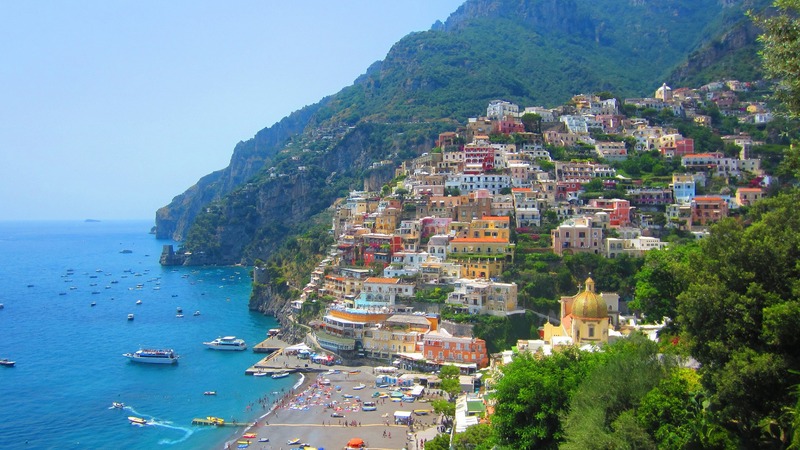 This tours is an unforgettable experience along the Amalfi Coast where you will can admire Amalfi, Positano and Ravello. The tour is available from Hotels, Ports, Airports and Train stations. 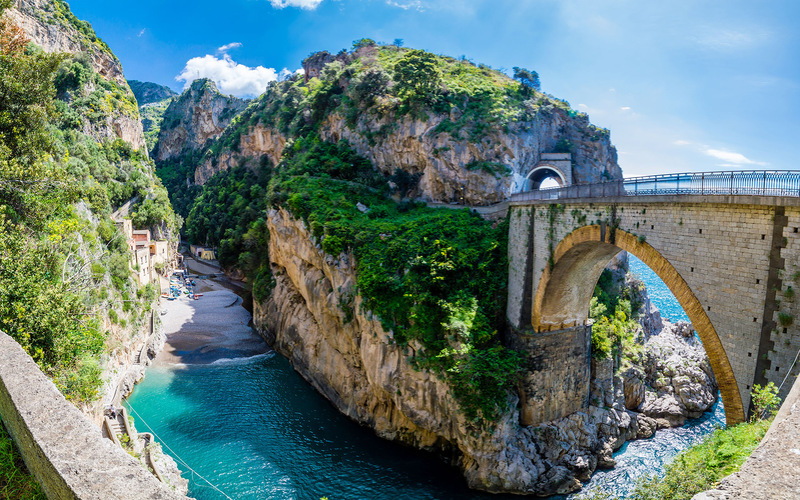 There is a place in Italy that is the perfect union of diverse and sometimes contrasting elements that merge to form a single whole of incomparable beauty, the Amalfi Coast. In the kilometers of coast that wind from Sorrento to Salerno, the gentle sea blends with austere, rocky hills, the most refined art with the picturesque simplicity of popular architecture, the history, such a rich history, full of crucial events, a history that sinks its roots into the distant past, with the enchanting natural surroundings that have always ruled this place, shrouding it in splendor and poetry. Here the sea rules fusing the blue of the water into the colors of the flowers, the olives, the vineyards and the citrus orchards that spring up in orderly fashion around the towns. 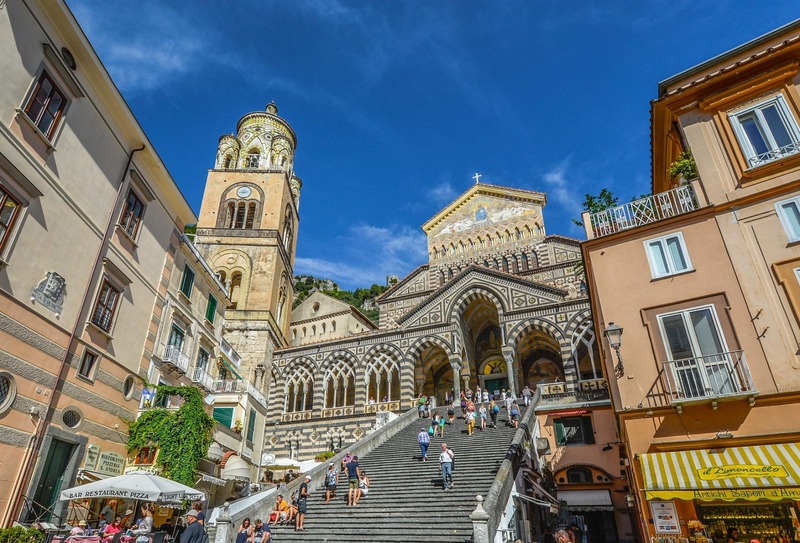 Amalfi, Ravello, Positano, are not only splendid seaside towns, but also centers where history, tradition and folklore tightly intertwine. 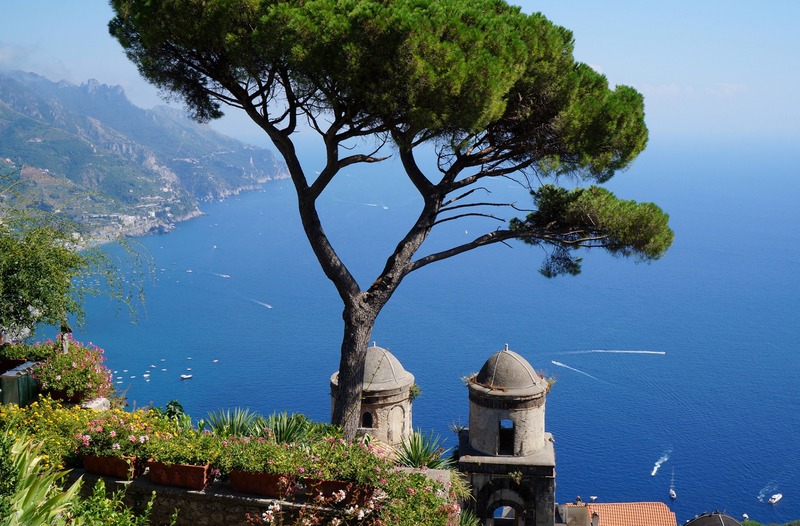 But more than this, nothing can truly describe these favoured places, except to say that they are precious coffers for a single jewel, where nature, history, art and tradition are gems, all individually incomparable, but inseparable in this crown surrounded by the sea. 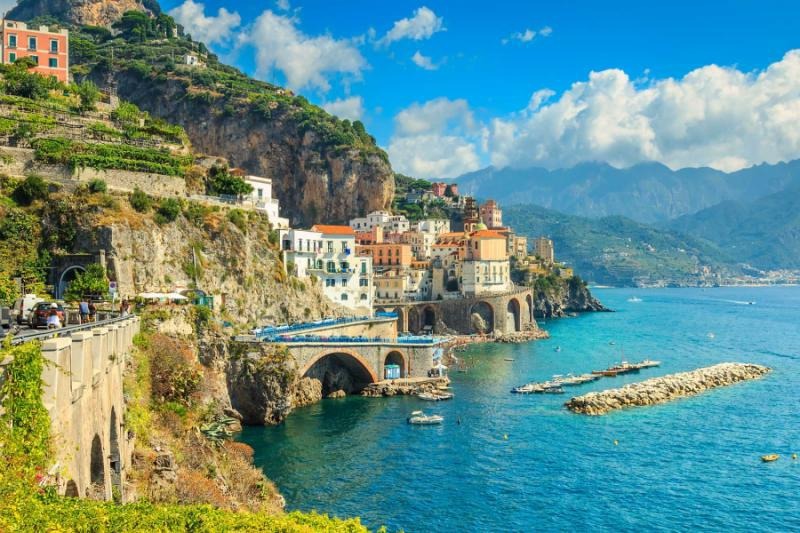 By restoring to us the remains of sumptuous villas and elegant holiday residences, archaeology tells us that even in Roman times, many people surrendered to the charm of the Amalfi Coast. 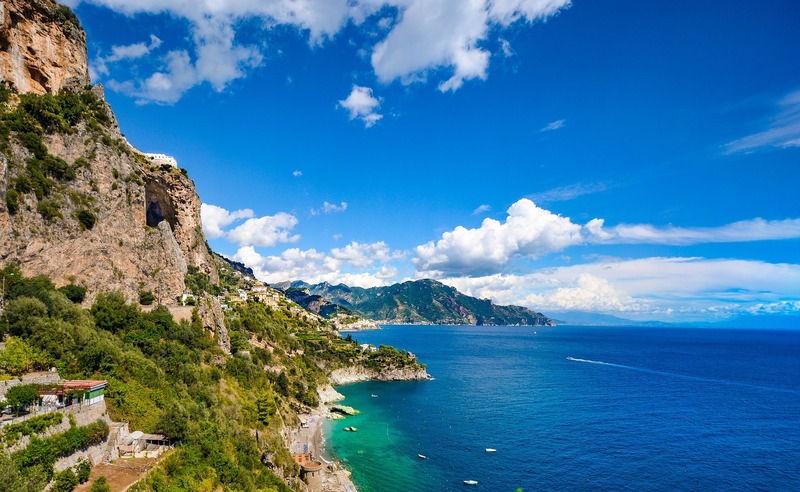 That seductive call, which since then has continued to attract hundreds of thousands of visitors, is now no longer only the lure of nature, the sea and the climate, but is enriched by the testimony of the centuries, becoming a truly irresistible enchantment for everyone.